Caption slip reads: "Photographer: Brunk. Date: 1957-02-10. Reporter: Leven. Assignment: Fire Easton Gym 8053 Beverly Blvd. B15: Firemen Donald Anthony, and John K. Willis who were overcome by smoke. 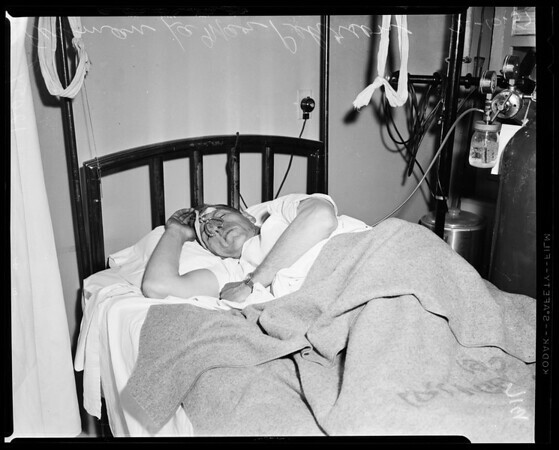 L - R. B16: Fireman LaMar Pehrson, who was overcome by smoke is given oxygen at Georgia Street Hosp."